You are here: Home > Doctors used to encourage VBAC; what changed? Doctors used to encourage VBAC; what changed? When I was practicing, obstetricians encouraged VBAC (vaginal birth after cesarean section). I had a high rate of patients attempting VBAC and a high success rate as well. So when I first heard that ACOG had changed their guidelines, I was stunned. Why had ACOG changed? They changed the guidelines for one and only one reason: they listened to women. Despite being counseled about the risks of VBAC, women who experienced a uterine rupture routinely sued their obstetrician and routinely won. ACOG was simply recognizing the reality that women believed that they did not and could not understand the risks of VBAC. … Flagg advised the plaintiff that, statistically, there were risks associated with the procedure, including uterine rupture and even a small chance of death of the child. Flagg reassured the plaintiff that all necessary steps would be taken to minimize or eliminate the risk to either the plaintiff or the plaintiff’s decedent and that the risk was “very, very small . . . .” … [T]he plaintiff asked … whether Flagg had had any negative outcomes. In response, Flagg stated that one of her previous patients suffered a uterine rupture as a result of a VBAC delivery. She did not mention, however, that the uterine rupture had caused the infant’s death and had placed the mother’s health at risk. When patient lost her original lawsuit against the doctor, she was appealed using a new theory. The plaintiff’s informed consent claim rested on the allegation that Flagg had given an incomplete and misleading response to the plaintiff’s inquiry about prior experience with VBAC deliveries. The plaintiff maintained that Flagg told the plaintiff that, in a prior VBAC delivery, she had one complication that resulted in a uterine rupture, but failed to tell the plaintiff that the uterine rupture resulted in an infant’s death. The plaintiff asserted that this evidence supported her claim that Flagg had not provided her with adequate information required for informed consent … The plaintiff also claimed that if Flagg had informed her that the prior VBAC delivery resulted in the death of the infant, she would not have elected the VBAC procedure. The Appeals Court agreed with the mother and granted a new trial on the theory that the mother had not given informed consent. While the promotion of VBACs may save insurance companies money, the risks simply cannot and should not be ignored. It is known that patients who fail a trial of labor are at increased risk for infection and death. Infants born by repeat caesarian delivery after a failed trial of labor also have increased rates of infection. Recent reports indicate that major maternal complications such as uterine rupture, hysterectomy, and operative injury were more prevalent in women who attempted a VBAC than those who underwent repeat caesarians. If the uterine scar ruptures, it can be life-threatening for both the mother and the infant. For the mother, uterine rupture can require hysterectomy and can result in death. For the infant, uterine rupture can result in both neurological damage and death. Uterine rupture can result in a sudden disruption in the blood flow to the fetus, resulting in deprivation of oxygen to the blood and tissues. This deprivation can lead to death of brain tissues and serious harm to other vital organs within only minutes. Accordingly, it is imperative that no VBAC be attempted at a facility where emergency staff are not capable of performing an emergency caesarian in minutes in order to prevent this potential harm or death to the infant and mother. Contrary to the ravings of VBAC activists, obstetricians did not “take away” women’s option for a VBAC. That was done by women themselves. If enough women claim that they cannot possibly understand the risks of VBAC and enough lawyers encourage lawsuits based on that theory, obstetricians and hospitals have no choice but to respond to their demands. Have a problem with the decreasing VBAC rate? Take it up with the women and lawyers who are responsible instead of pretending that doctors are depriving women of choice. This post first appeared on Homebirth Debate in September 2008. ← Is Dr. Andrew Weil trying to torpedo healthcare reform? Some hospitals in the UK do not have ERs (or what we call A&E), and road signs pointing to hospitals along the dual carriageways clearly mark whether an upcoming hospital has an A&E or not. Because it reveals information about a different patient, which would, if I’m understanding this correctly, breach doctor-patient confidentiality as far as the family of the dead baby is concerned. The breach occurs between that patient (ie the dead baby and its family), not with the first patient in the scenario. 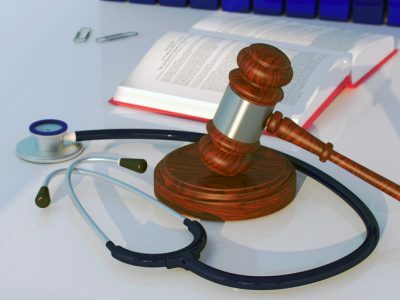 Patient care IS driven by medical concerns, but having a legal framework in which to operate is just good common sense, for both the patient and the doctor, no matter what the specialty. Why are you responding to a 7 year old comment by a non-registered commenter with a generic username? Dr. Tuteur posted it on Facebook today. That would be my guess as to why. Force of habit: I see a question I can answer, so I try to do so. Why did Dr Amy share a 7-year-old post to FB today?